Being Jewish today is not easy. Not only do Jews have the burden of religious and cultural obligations, but we are generally expected by wider society to be the archetypal role models of ‘morality’, ‘servitude’ and victim-hood. Indeed, in the wake of 2000 years of pogroms and persecutions across Europe and the Middle East culminating in the The Holocaust, The Jewish people have always been considered the mistreated minority: by the left as the defenseless underdogs and the scapegoats, by the right as the stateless wanderers at the mercy of benevolent kings and tyrannical rulers. But by 2011, a mere 65 years after the crematoria of Birkenau fell into their ghostly silence, everything has been reversed. The State of Israel – a country whose rasion detre is to provide a refuge for ‘The Wandering Jew’, is today portrayed as the aggressor rather than the victim. The words Israel and “apartheid”, “occupation” and “Nazi” have become so synonymous, that with the help of the internet, the transition from ‘helpless Jewish scapegoats’ to ‘vicious Jewish oppressors’ is accelerating faster than ever. But amidst the antisemitic barrage of hate speech and hyperbole, lies legitimate criticisms of the State of Israel – her policies, the domestic and social problems, as well as her relationship with immediate neighbours. Israel is generally accepted as ‘The Jewish collective’ – the single most identifiable symbol of Judaism across the world, so when Israel is criticized legitimately, this can often be misconstrued as anti-zionism or even anti-semitism. What I wish to focus on however, is the curious (and growing unfortunately) phenomena of Jewish anti-zionism in the wider context of Jewish voices criticizing Israel from the Diaspora. Make no mistake, Jews can be antisemites as well as anybody else (Pablo Christiani and Shlomo Sand instantly come to mind), and many of the voices spearheading the attack against Israel from college campuses across America and Australia, are in fact Jewish. The question is – what motivates so many Jews to rise up against their homeland and side with her enemies? This is a question that I posed to international human rights lawyer Irwin Cotler when he came to speak to us at school. Is it that because so many Jewish children are raised on a steady diet of social justice, they feel compelled to interpret Israel’s actions as a gross injustice? His answer was insightful and interesting. Many of these Jewish anti-zionists have little or no connection to their heritage, and their campaign against Israel is often misguided, because they are ignorant of the facts on the ground. They are perceived by others to have more legitimacy in this issue because they are ‘Jewish’ – and Israel is ‘the Jewish state’ , yet ironically, the only time they publicly display or feel connected to their ‘Jewishness’ is when attacking Israel or siding with antisemites. As an example, he reminded us that many of the Soviet Union’s most vociferous supporters were (yep, you guessed it) misguided Jews. Despite the fact that 2 million Jews were caged within the totalitarian Stalinist confines of institutionalized discrimination, and that students and mothers were marching on the streets of London, New York and Johannesburg demanding the freedom of Soviet Jewry – overzealous Jewish communists in the West continued to voice their support for the regime: A regime that denuded millions of Jews of their identity and still insisted that the word “Jew” was printed on their passports, so that they would never forget what they were. Today, a growing number of “Jewish communists” wage a similar, misguided battle. The simple fact that their parents are Jewish instantly makes them “experts” – yet they arrive on campus with little or no idea about Israel, Jewish history, culture or tradition. As little as 25% of American Jews have visited Israel. The number that attend Jewish day schools or youth groups is even lower. Every second Jew intermarries. Chelsea Clinton’s marriage to Marc Mezvinsky was hailed as proof that the golden age of the Jews of America is at it’s peak – however in another age such a marriage would have been widely shunned and criticized. At the risk of calling Jewish anti-zionists ‘traitors’, I have to admit that I am somewhat ambivalent about being so quick to dismiss them as loonies or useful idiots. On the one hand, I share many disagreements with them. On the other, I’m proud that there is such a wide diversity of thoughts and opinions within the Jewish community. These people may be the ‘black-sheep’ of the family, but they’re part of the family nonetheless. I see this growing trend of anti-Israel radicalization amongst Jewish youth as synonymous with the distortion and deterioration of left-wing politics – which historically assumed support for the Jewish people and the State of Israel. An example is the Guardian newspaper which initially voiced support for Zionism, only to become infected with rabid Arabism over the course of the century. Indeed, Jews have historically aligned themselves with the left side of politics. The left demanded Jewish emancipation in Europe during the 19th century. Jewish women spearheaded the fight for universal suffrage and feminism. The Bund, Trotsky and the Mensheviks lobbied to bring down the Czar in Russia, and create an egalitarian socialist utopia for all citizens. Rabbi Abraham Joshua Heschel marched hand in hand with Martin Luther King at the height of the civil rights movement. These are all examples of Jews and left-wing politics working hand in hand to achieve universal human rights and freedom for all. The bad news, is that for the past 30 years, classic left-wing politics has all but disappeared, only to be replaced with a hollow shell of fanatical, ignorant, youth claiming immediate expertise on the Israeli-Arab conflict after reading Wikipedia. This is essentially what Jewish youth face on university campuses across the Western world. They are immediately receptive to any injustice: Tibet, Darfur, The Congo. They hear soundbites on the Israeli-Arab conflict for the first time, and the magical, idealized picture of the Jewish paradise shatters: Israel isn’t the heroic wonderland of their childhood, but an aggressor fighting in their name! Yet rather than researching about the conflict in-depth to discover its root causes: the existential threat Israel faces on a daily basis – and the democratic and human rights afforded there as the only in the entire region – they immediately jump onto the bandwagon of anti-zionism, further propagating the distorted image of Israel as the chief violator of human rights in the entire world. This view is further compounded by anti-zionist academia and faculty on Israeli, American and European campuses – further forcing brutal images down unsuspecting throats. This is at least one of the principle causes of secular Jewish anti-Zionism. Jewish anti-Zionism on religious grounds from groups such as Neturei Karta demands a separate article altogether, however, they too seek to achieve the same outcome: the destruction of Israel as a Jewish, democratic state. The claim that ‘all critiques of Israel are antisemitic’ is patently false and ignorant, because that would mean that Israel is the #1 most antisemitic country on Earth. There are no secrets in Israel. The Hebrew press uncovers everything and presents the damning allegations to the Israeli public. Does this make Israeli journalists writing in Hebrew for an Israeli audience antisemitic? Of course not! Every one of Israel’s 6 million Jews has something against the government and its policies: the despicable education system, unnecessary bureaucracy, the communities in ‘the territories’ (West Bank), final status on Jerusalem, and so forth. Their anger is neither antisemitic nor anti-Zionism – it is rather constructive criticism by those who love the country so much that they choose to live there. From this we can deduce the yardstick between legitimate criticism of Israel by Jews in the diaspora: if the criticism is directed to a distinctly Israeli audience, then it is most likely constructive criticism, appealing to voters to rectify the problems in their society. If the criticism is directed at a non-Jewish or a hostile audience, then the criticism, whether legitimate or hateful, instantly is construed as anti-Zionism. 1. 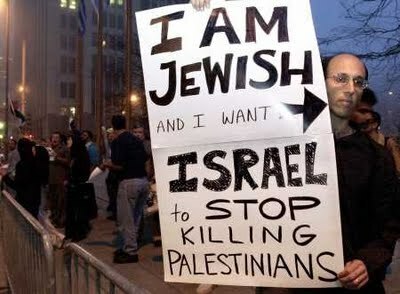 Demonization: portraying Israel as the single worst violator of human rights in the world and the embodiment of evil. This includes claiming that Palestinians are the ‘new Jews’ or that the grandchildren of Holocaust survivors are now perpetrating a new Holocaust upon Arabs living in the vicinity. 2. Double Standards: ignoring other far more serious crimes committed worldwide by focusing solely on Israel and her imperfections, turning a blind eye to Arab incitement and terrorism, and selectively bemoaning the “humanitarian crisis” in Gaza, whilst ignoring Israeli deaths at the hands of Hamas, Hezzbollah and the al-Aqsa martyrs brigade. 3. Delegitimization: inferring that Israel has no right to exist as a Jewish state. This includes incorrectly portraying Israel as a vestige of colonialism or claiming that Israel is an ‘apartheid state’. Other examples include using selective quotations from Jewish texts such as The Talmud or Shulchan Aruch to support an anti-Israel agenda. Additionally, citing being ‘Jewish’ as conferring some type of authority to speak legitimately on behalf of other Jews in order to denigrate Israel is antisemitic. 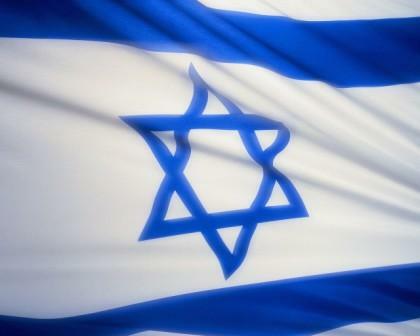 I have a confession to make: I too have many qualms about the Israeli government and the path the country is taking. The correct place for me to air these complaints is in Hebrew on an Israeli newsite – to those who are receptive to such criticism and have the voting right to change the situation. Attacking Israel on non-Israeli sites or arenas is easily misread as anti-zionism and gives fuel for neo-nazis, Islamists and antisemites who don’t understand the nuanced and complicated problems within Israeli society. It is irrelevant that I’m Jewish, that I’m moving to Israel in a couple of months, or that I plan to enlist in the IDF: If my criticism breaks one of the three D’s or is directed at the wrong audience – then I too am guilty of antisemitism, and I hope that I am the first to recognize this. I remember talking to an elderly Hungarian Jew on our way back from a Passover Seder at night. I asked him why he decided to leave Israel, and what his views are on the country in general. He gave me a sharp stare, and then cooled off a bit: “I could tell you,” he answered me, “but I’m here now, not there. I don’t have to endure the hardships of living in Israel. I have no right to speak out against them.” And then we continued on in silence through the deserted streets and flickering light lamps – his droll, heretical wink giving me the answer that I was looking and hoping for.